It is with pleasure we enclose the 2019 events and activities calendar being organised by volunteers of the Leicester Maher Community Association (LMCA). We humbly request your support by attending and participating in the events and activities. Please note, detailed information and updates about each event and activity will be available from our community website www.maheronline.org. Please do notify us of any changes to your contact details so that we can update our records and keep you informed of the latest developments. 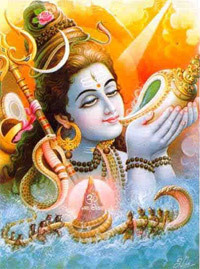 Shivratri Monday 04/03/19 5.30pm – 8.00pm Maha Shivratri pooja and abhishek ceremony will take place at our Mandir. Holi Wednesday 20/03/19 5.30pm – 8.30pm The annual festival of colour will be celebrated at our centre. Singles Matrimonial Event Saturday 08/06/19 1.00pm – 5.00pm We will be hosting another singles event following the success of previous events and due to popular demand. Please check www.maheronline.org for further updates. Maldev Bapu Janm-Jayanti Saturday 03/08/19 5.00pm – 10.00pm An evening gathering to celebrate Bapu’s birthday. Further details to follow. Janmashtami Saturday 24/08/19 5.30pm – 9.30pm The annual celebration of Lord Shri Krishna’s birthday will take place at out Mandir. Navratri Sunday 29/09/19 to Tuesday 07/10/19 7pm onwards Celebrating the victory of good over evil. Details of the event will be posted and available on our website. 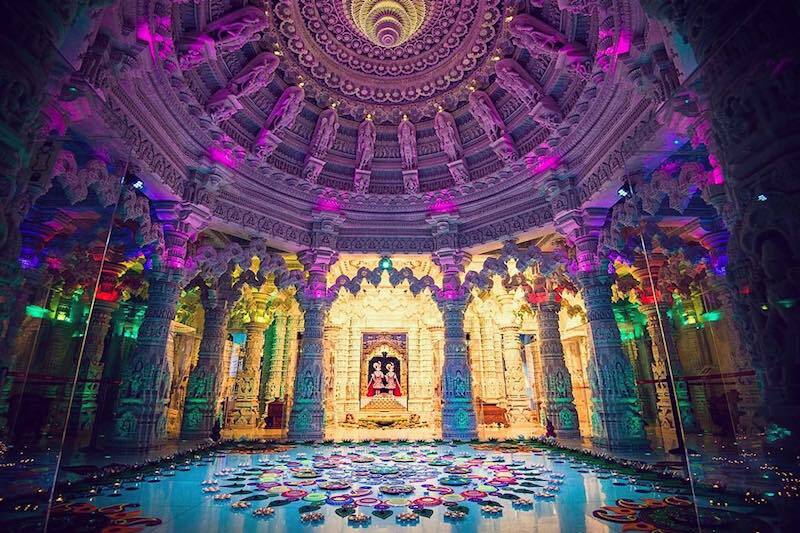 Sharad Poonam Saturday 12/10/19 7pm onwards Sharad Poonam Dandia Raas night will be hosted for our Samaj this year. Further details will be available near to the event. Diwali / Sneh Milan Saturday 02/11/19 5pm onwards Further details of the annual gathering will be available near to the event. Children’s Xmas Party Saturday 14/12/19 3pm – 7pm The annual fun packed Christmas party will be held for children under 16. Beej Bhajans Various as per attached leaflet 6pm onwards Please refer to the Beej Calendar for details and contact our centre should you wish to donate prasadi. Junior Football Practice TBC TBC Weekly practice will be held for boys who are 16 and under. Please contact our centre for further information. Junior Multi-Sports TBC TBC Various sporting activities for children under the age of 16. Men’s Football Practice TBC 4pm -6pm Weekly practice is being held at Gateway College. Please contact our centre for further information. Cricket Practice Every Sunday 2pm – 4pm Weekly practice is being held at Crown Hills Community College. Please contact our centre for further information. Badminton and social club for all Every Tuesday 6pm – 8pm Weekly badminton practice and other social activities will be held at our centre. Please contact our centre for further information. Volleyball Every Sunday 4pm – 7pm Weekly practice is being held at Gateway College, Leicester. Please contact our centre for further details. Raas Garba practice for girls Every Wednesday 6pm – 8pm Weekly Raas Garba practice is being held at our centre for girls between 5 to 16 years. Please contact our centre for further information. We are also exploring options of hosting Maths and English tuition classes. We request for you to register any interest by contacting the centre. We will provide details of the arrangements once it is confirmed. Another initiative for this year will be to relaunch New Maher Era (NME); a team of volunteers who independently organise activities and events for the younger generations of our Samaj. Please keep a look out on our website for further information. On this note, we are collaboratively working together to build on the hard work of retired volunteers who invested a lot of time and energy in making our community centre a cultural hub and sustaining our heritage. We will endeavour to provide you with updates of any changes that impact our community and hope that it will provide better access to any help, support, guidance and resources. 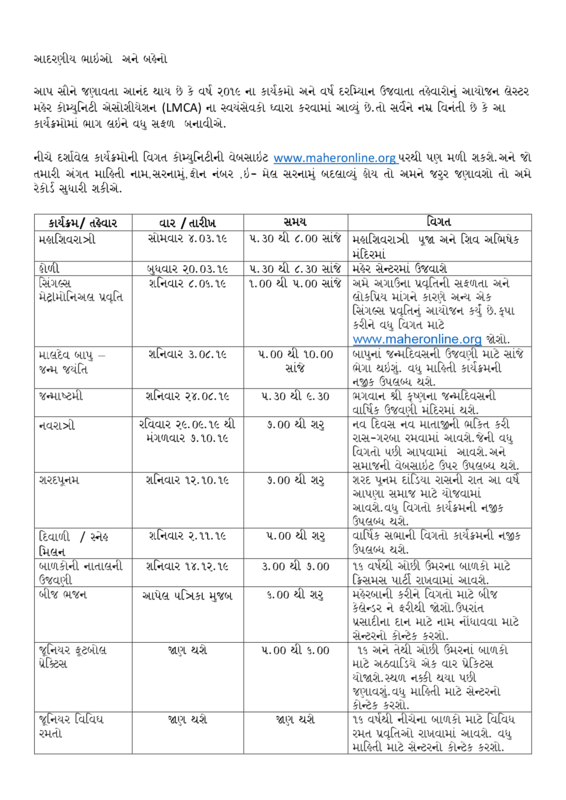 Lastly, you can view all financial statements, event details, photographs, videos, blogs and community updates on our Samaj website www.maheronline.org, which has recently been redesigned. 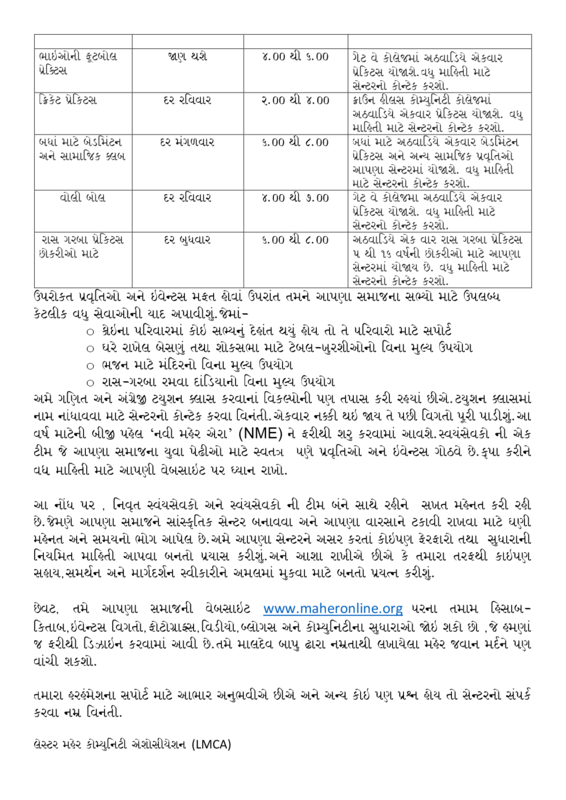 You will also be able to access Maher Jawan Mard humbly written by Maldevbapu. Thank you for your ongoing support and please do not hesitate to contact the centre should you have any questions or queries.